Brian Cimins was born September 23, 1976 to Paul John Cimins (Father) and Phyllis Virginia Cimins (Mother) in Wayne, New Jersey, United States. His brother, Paul Michael Cimins is Author of Autism Focused Cookbook and Diet Plan called "The Spectrum Diet", a Gluten Free and Cassein Free Diet to Help Parents is also Host of "Hope Saves the Day" for Autism and Fundraising campaigns. Cimins has two children, son, Logan John Cimins (born June 13, 2007) and daughter, Kaylee Paige Cimins (born May 28, 2009). Cimins is CEO and Founder of The Grapplers Company, Inc., producer of Grapplers Quest, a world famous ground fighting competition called by Grappling Magazine in June 2006 as “The Greatest Grappling Show on Earth” and a world renown motivational speaker, Life Coach and Strategic Interventionist specializing in Crisis Management. At Wayne Hills high school, Cimins was inspired to study marketing by Mr. Westervelt and coerced by Mr. Holden to study accounting as a junior in high school, he even taught Cimins how to write his first check. Cimins' story is a perfect example of how not all people are wired the same and education can be different for different types of people, different types of minds. Not all people perform well with standardized testing under time restricted pressure. With the positive support of his family and amazing work ethic, a visionary was nurtured and refined - born if you will. Brian Cimins was an average C-level student in High School and only scored a 890 on his SATs. What college would accept him? He got rejected from Penn State, SUNY Buffalo, University of Connecticut and just about everywhere else he applied. Could the future of an American entrepreneur and visionary be crushed by the horrendous college acceptance process? No - Stockton College believed in Brian Cimins but it still took a hope and a prayer. Studying the the principals of mentors like his father and Napoleon Hill opened the doors of possibility, a future which is limitless. The Richard Stockton College of New Jersey accepted Cimins, not because of grades, but his persistent calls and specifically because of a special letter he wrote to the Dean of Admissions and President during the big ice storm of 1994 in New Jersey. Cimins' admissions plea letter started with, "Dear Dean, my test scores and grades will never be able to show you what I'm capable of. Please give me a chance and I'll make you very proud that you did one day...". In late May 1994, after all of his friends had already been confirmed for colleges, Stockton finally responded and accepted Cimins as a "Probationary Student", allowing him to prove himself with three courses, one short of the normal student load. 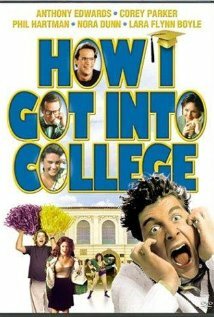 It was similar to the cult classic college flick, "How I Got into College", but with his foot in the door, there would be no stopping him. During his college years, Cimins entrepreneurial vision of owning brand names on the internet led to development of ICANN and a San Jose Mercury news article in 1996 quoted the 18-year-old Cimins who accurately predicted ecommerce for books with his BarnesAndNoble.com (pre-Amazon.com), downloadable and streaming music with CapitalRecords.com (pre-iTunes), as well as an online subscription newspaper with ReadersDigest. Cimins first person in the world to register a domain name for a Presidential name, registering BillClinton.com in January 1994 and leasing it for $16,000 and developed the first ecommerce site for "gag gifts" promoting the "Bill Clinton Bobbing Head Doll", which sold 200,000 units from 1996-1998 generating $2.4 million. As a Richard Stockton under-graduate student majoring in Marketing, Cimins' earned twenty-six A grades of thirty-two possible classes and a 3.5 GPA. The undergraduate education at Stockton helped mold Cimins into an entrepreneurial machine, ready to be unleashed on the business world, but before he graduated, Cimins would create the now famous Grapplers Quest brand with the help of some of the brightest minds Stockton College ever produced. Grapplers Quest was Brian Cimins' senior year Strategic Marketing and Public Relations projects from The Richard Stockton College of New Jersey, graduating class of 1998. During his senior year, the now infamous workaholic apartment E-30 at Stockton College became Grapplers Quest's think tank where Cimins assembled a genius team of young visionaries to help make his dream a reality. Web and Game development guru and app master, Alex Britez created the web-based email marketing and community web site (http://Grapplers.com) under Cimins' direction becoming the first company in the industry online. Britez and Cimins hosted the first ever live web streamed event in 1999 with Spider Partners, a web-based technology consulting firm. They developed the first ever online tournament registration system and "grappling superstore" in 2000 for credit card transactions, another industry first, plus offered streaming photos live from a still camera at the event on April 24, 1999, another industry first. Photographer Sean Ranieri (http://SeanRanieri.com) shot and edited the poster boards and first-ever promotional materials for the sport of grappling, now another photo master, Eric Zippe (http://EZippe.com) captures our grappling history through a lens along with videography master, Jim Kearns, who won "Best Videography and Photography Award in 2011", one of Syracuse Channel 9 News best kept secrets. Cimins started researching the sport in 1994, after training in Russian Sambo, Judo and Wrestling in 1993 as a freshman in college. The void in the American market for a "No-Gi" Submission Grappling tournament was screaming to Cimins and with the help of his colleagues and inspiration from many teachers at Richard Stockton College of New Jersey, as well as his family and friends, history was made. After running several in-house tournaments from 1996-1998, Cimins finally took his show to the national level and on April 24th, 1999, the 1st ever Grapplers Quest hosted 298 competitors and 900 spectators, the first ever 100% Submission Grappling tournament in the United States in Montclair, New Jersey. It was originally scheduled at Montclair State University for the same date, but after review by the Board, they denied our "brutal submission sport", canceling our event. Ironically, almost cosmically, Montclair High School was available for the same date, and the rest is grappling history. Cimins was also the promoter for The Abu Dhabi World Submission Wrestling Championships from 2005-2007 and developed and created the now famous ADCC branded logo redesigned by Cimins himself in 2004. Since 1996, Grapplers Quest is the industry leader in the sport of Submission Grappling, Brazilian Jiu Jitsu, Wrestling and and Judo. With 200+ tournaments and nearly one hundred thousands competitors, fans, and coaches worldwide, the mixed martial arts and grappling world voted Grapplers Quest, "Best Grappling Tournament" at GrapplingWeekly.com in September 2010. In March 2009, Brian Cimins produced the first "FIGHT EXPO", a blend of MMA, Grappling and Extreme Sports for a Great Cause benefiting the Make a Wish foundation. In February 2011, Cimins with brother Paul Cimins helped launch "iPads for Autism", a 6-week training class and 16 Free iPads for qualified families with children on the Autism Spectrum and one Special Education iPad Specialist and Instructor plus Assistant. This program became a model for AutismRadio.org who recently partnered with the New Jersey Sheriffs throughout all twenty one counties in New Jersey to fundraise for this project and "Project Lifesaver" which helps recover lost, especially non-verbal or any other special needs children funded in part by the State of New Jersey. In January 2012, Cimins launched "Life Coaching for Autism", a 100% charity donation based program which gifts a $1,000 donation to AutismRadio.org and in turn, Cimins coaches the client for 5 full hours in Life Mapping Strategy, Business and Life Blueprinting, Specialized Family Intervention and help clients achieve true happiness in life. DVDs: Brian Cimins and Grapplers Company have released twenty-two worldwide distributed DVDs featuring more than 100 Ultimate Fighting Championship competitors, five champions. The newest release will be "The Best of Grapplers Quest at UFC Fan Expo 2009-2011 covering submission grappling, Brazilian Jiu JItsu and Judo highlights from the Ultimate Fighting Championships MMA supershow, UFC Fan Expos including Vegas 2009, Vegas 2010, Boston 2010, Toronto 2011, Houston 2011. Radio: Cimins launched a talk radio Grappling based show, app and video blog with Grappling Radio and launches the business pioneers of America with, "Entrepreneurs Radio" each week on iTunes and Sirius/XM Radio. Competition Record: 13-7 all time, all ground fighting sports. Cimins now focuses his efforts on promoting the sports and events in Submission Grappling, Brazilian Jiu Jitsu,Judo, Wrestling Sambo, and Mixed Martial Arts worldwide and Life Coaching and Strategic Interventions for Personal and Professionals worldwide. Grapplers Quest signed a 26-Episode Television deal with FightNow TV in 5 million homes in America and Canada. This was a historic event, because it's the first time grappling appeared on National Television. The Television show, "Best of Grapplers Quest" is filming LIVE at every event worldwide. The Show presents both professional and amateur grappling tournaments from around the world. This exclusive weekly series puts the viewer right on the mat as Grapplers Quest founder Brian Cimins hosts the series that showcases the skills and talents of these great athletes who compete for the love of the sport. From rising talent to household names like Matt Hughes, BJ Penn, Frank Mir and Diego Sanchez, Grapplers Quest is a unique series only found on FIGHT NOW TV. Fight Now TV is a subsidiary of Channel Zero. 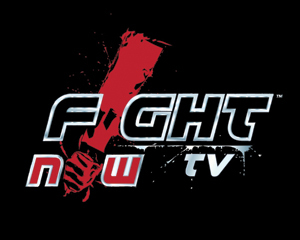 FIGHT NOW TV – It’s On! Enter your name and email below to start receiving videos ASAP!